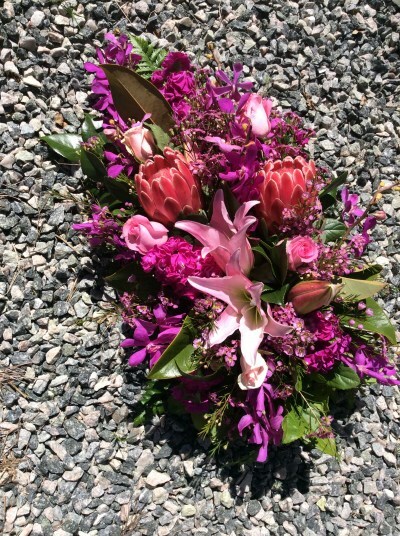 A sympathy tribute arrangement in beautiful pink tones. 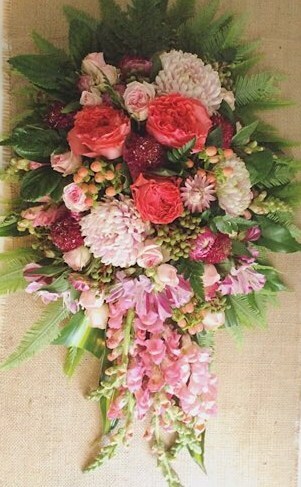 The flowers will vary to make use of the best of the season. Approximately 60-70 cm in length. Please note deluxe value is shown in main image.